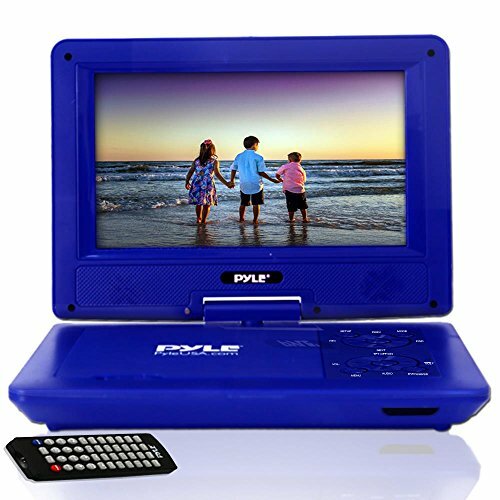 Add compact and portable entertainment fun with the Pyle CD/DVD Multimedia Player. Built-in rechargeable battery makes it great for flights and road trips -- while the compact size fits conveniently in backpacks or luggage. Versatile digital media file support allows you to playback audio, image and video files from your computer’s media library; and of course play your favorite CD or DVD. Additional system features include swivel adjustable monitor, widescreen LCD display, headphone jack for private listening, button activated volume control, along with picture configuration settings. It’s the ultimate travel-buddy loaded with plenty of entertainment ability. Enjoy wireless audio & video streaming freedom with the Pyle CD/DVD Multimedia Player.